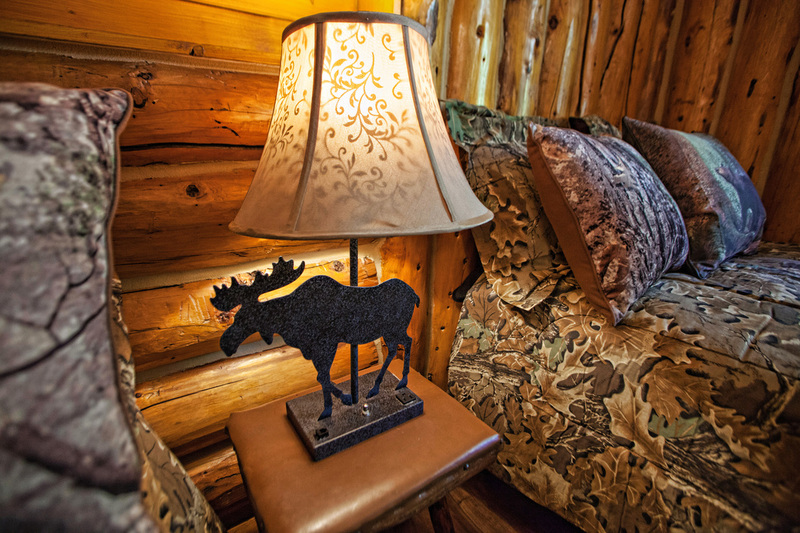 Stephan Lake Lodge is located 140 air miles from Anchorage in the spectacular Talkeetna Mountains. 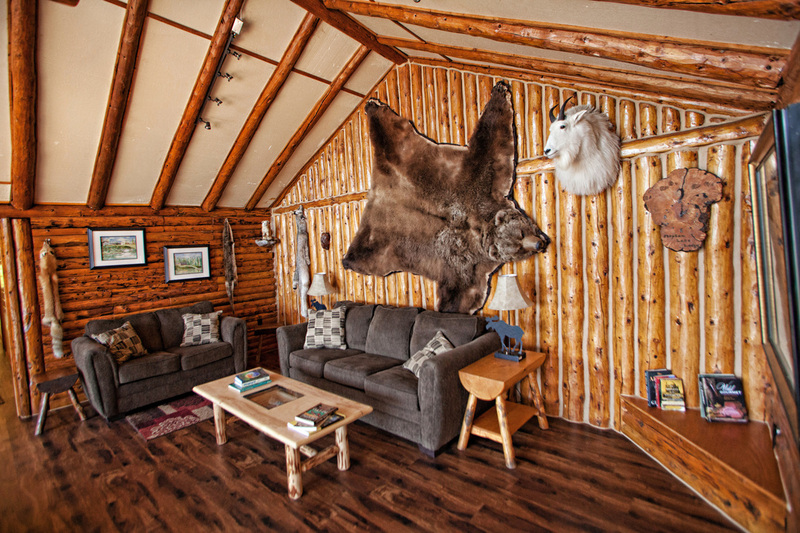 Our lodge has been in operation since the late 1960's and is one of the finest wilderness lodges in Alaska. We offer a casual atmosphere and comfortable accommodations. The lodge overlooks Stephan Lake and is built of local spruce logs. We offer private rooms for two, bath, showers, and a lake side sauna. Our large lounge has a natural stone fireplace and is a wonderful place to relax and share stories of the day's adventure. and fresh baked deserts. Our cook specializes in our world-renowned Wild Alaskan Blueberry Hotcakes and organic gourmet coffee. We accommodate all special dietary requests/needs. Unique to Stephan Lake Lodge is our series of outlying cabins. 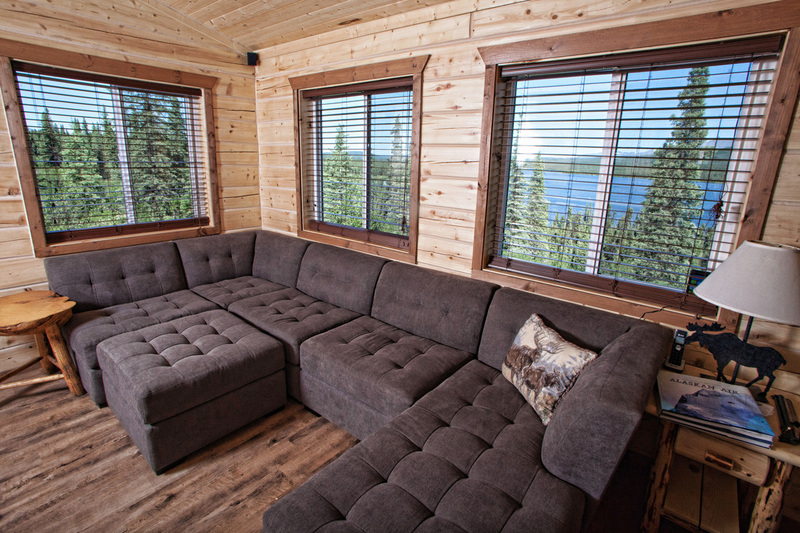 These rustic log cabins are warm, dry, and comfortable. They form a loop through the Alaskan wilderness and are a comfortable day's walk from each other. Our goal is that you have an enjoyable, comfortable and safe experience. Our staff know this country well and share our love and respect for it. You will receive the personal attention you deserve and a wilderness experience you will never forget. "At Stephan Lake Lodge, Sanchez hooked and landed 76 kings in one week ranging from 30 to 60 pounds each! He later received notification from the National Freshwater Fishing Hall of Fame that he had swept all the line-class fly fishing categories from 2 to 16 pound tippit, as well as the unlimited category." Guests will take a short flight to Stephan Lake Lodge via bush or floatplane. The flight to Stephan Lake is breathtaking and will give you a taste of your adventure to come. Stephan Lake is situated on the edge of the Nelchina Public Use Area and very close to Mount McKinley and the Denali National Park. Guide Terry Walker has been guiding hunts in Alaska for over 15 years. With vast knowledge of the Alaskan wilderness and animal behaviors / movements, Terry has taken record book moose, sheep, and brown bear. "The fishing for rainbows and salmon is outstanding, and the service exceptional. We are proud to award Stephan Lake Lodge our Lodge of the Year Award"